A classic beef patty topped with mayonnaise, house-made pickled slaw and melted provolone cheese wrapped in crisp lettuce. Combine first eight ingredients, and bring to a boil. Remove from heat and add carrot, onion, and red pepper. Once cooled, add tomato and refrigerate overnight or longer, if desired. Cook burger to desired doneness and melt cheese on top. Spread Hellmann’s® Real Mayonnaise on lettuce leaves. 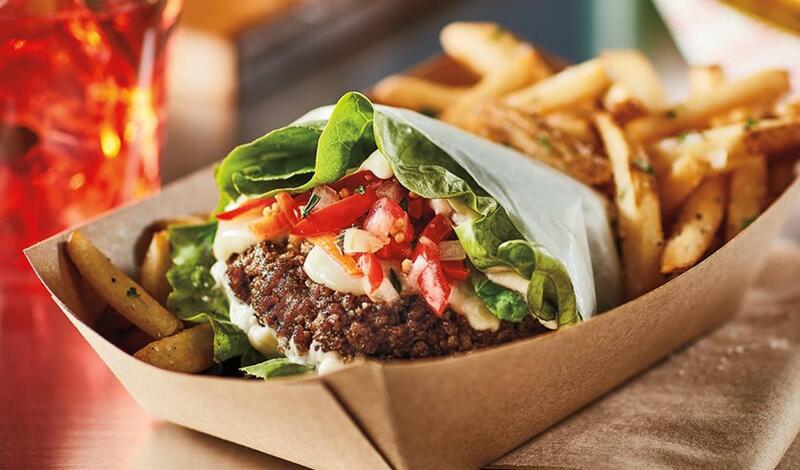 Build burger inside lettuce leaves to create a wrap. Topwith prepared Chow Chow.